Army CPL Peter Courcy died February 10, 2009, as a result of injuries sustained when his vehicle was hit by a car-bomb attack in Salerno, Afghanistan. 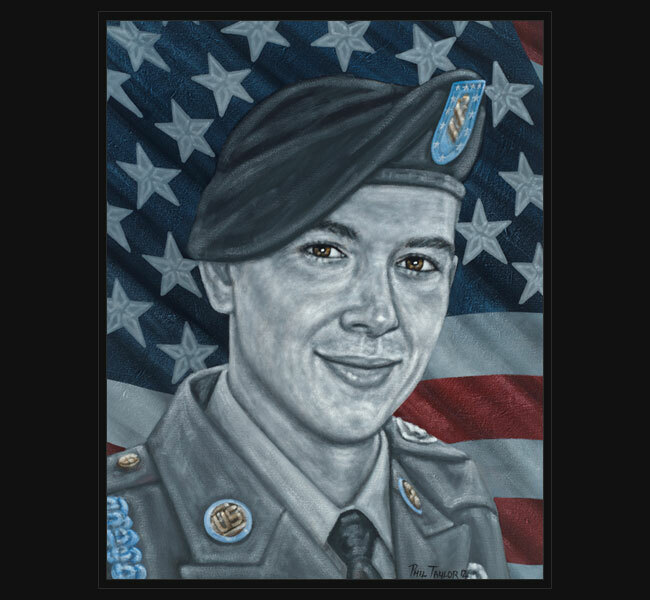 CPL Courcy was manning a .50-caliber machine gun in the point vehicle of a convoy when his Humvee was rammed by a car packed with explosives, which detonated on contact. He died after being transported to Camp Salerno, Khost Province, in eastern Afghanistan. Also killed in the attack was PFC Jason R. Watson. Since childhood, Peter had always wanted to be in the military. With a grandfather who served in the Vietnam War and an uncle who spent time fighting in the Persian Gulf, joining the Army was all he ever wanted to do. Those closest to Peter respected and praised him for his decision. He joined the Army in July of 2006 and arrived at Fort Campbell in March of 2007. CPL Courcy’s awards and decorations include the Army Achievement Medal, National Defense Service Medal, Global War on Terrorism Service Medal, Army Service Ribbon, Air Assault Badge, Parachutist Badge and Weapons Qualification, M4 expert. He was two weeks away from returning home to his wife, Mara, and five-month old son, Anthony, whom he planned to make sure grew into a proud Dallas Cowboys fanatic like his father. CPL Peter Courcy is also survived by his mother and step-father, Christopher and Mary Bush, and father, John Mitchell. Original portrait was presented July 4, 2012, to his family during half-time of the FC Dallas soccer game and Independence Day ceremonies held in Frisco, Texas.